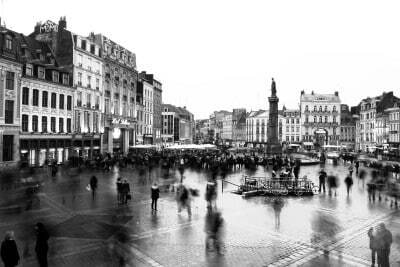 Babylangues offers part-time jobs in Lille for English speakers! 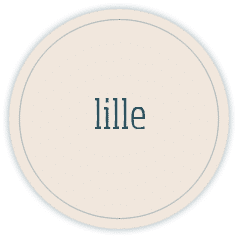 Lille is the fourth largest city in France, with over two hundred thousand inhabitants. Control of the city has changed many times, mainly as a result of marriages rather than invasions. It has been ruled by counts of Flanders, dukes of Burgundy, the Hapsburgs of Austria, and by the King of Spain. The French King Louis XVI besieged the city in 1667 and claimed it after nine days, after which Lille has remained part of France. Louis built a citadel to strengthen its defences and this is still used by the army. The most famous citizen of Lille was Charles de Gaulle, who was born at 9 rue Princesse in 1890. He is famous for his call to resist the occupation by the Nazis in 1940, and was the French president from 1959 to 1968. The main square of the city is named Place du General de Gaulle in his honour. The city has many festivals including the Nord Art Musiques Electroniques in September, the Lille Piano Festival in June and the International Soup Festival in May. The Palais des Beaux-Arts has art ranging from classical times through to the nineteenth century. As for its more historical charms, L’Hospice Comtesse, a thirteenth-century charitable hospital, boasts Flemish interiors, while displays in the timber-raftered former dormitory give a snapshot of the city’s rich, textile-industry past. The Grand Place, as depicted in Louis Watteau’s eighteenth-century painting, seems little changed. The most handsome building is the Vieille Bourse, a Renaissance flourish of sculptures, flowers and gargoyles. Today, stalls selling second-hand books, vintage postcards and classic records pepper these lively courtyards. Babylangues, France’s leading specialist in early language acquisition, has developed an innovative method, revolutionising the way children learn languages. The Babylangues method, based on scientific research, is carefully structured and adapted to the age of the children, enabling them to learn foreign languages from as early 9 as months of age. Babylangues careers service recruits Anglophone instructors all year round, offering from 4 to 20 hours of work per week. As a Babylangues instructor you will be teaching your native language in a fun and innovative way. We offer a choice of hours to fit in and around studies or other commitments, allowing you to have flexibility in your work. No prior teaching experience is necessary as full training and insight into our methodology is provided to all instructors. Babylangues’ team of specialists in early language learning organises regular training sessions based on the latest scientific research. Be a first-hand witness to the mechanisms at work in language acquisition in young children. No minimum level of French is required; working with Babylangues is a fantastic opportunity to share and experience French family life on a daily basis and to gain an authentic insight into French culture. You will meet students and people from all over the world, as Babylangues provides language instruction in various languages. All level of French are welcome! Training, teaching materials and activities will be provided. Apply and be contacted within 48 hours.